I am so sorry that I have been so absent lately! I have just about finished a three and a half week nurses assistant course! What does this mean you may ask?...... It means that once I get done on Weds. I will begin to get paid to work for Makenzie as a CNA!!! 6 hours a day 7 days a week!!!!! It has been a very LONG 3 weeks but I made it through!!! I want to say a HUGE Thank You to my mom and friend Erica for putting up with my high demands and to her OT and PT for coming EVERY day for three weeks!!! You all are life savers!!!! 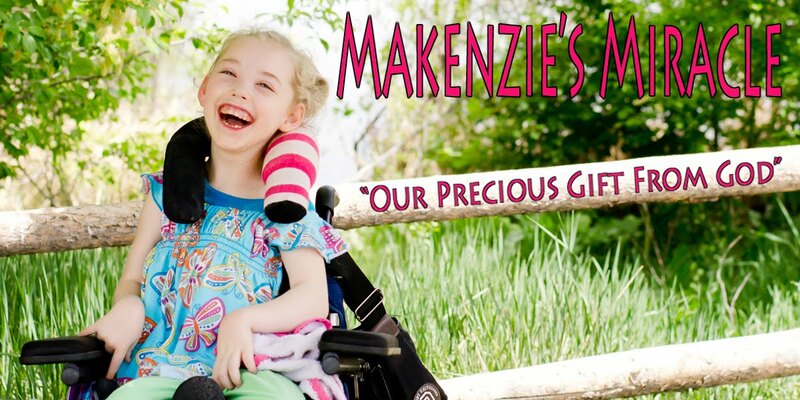 Makenzie has done great!!! She has also still been going to school all by herself and that also went well! THANK YOU!!!!!! Thank you also to our GREAT GRACIOUS GOD for giving me peace about leaving Makenzie!! I, until the beginning of Oct., have not left Makenzie for more then about 1 hour since her injury! So being away Mon through Fri form 7:30am until 2:30pm was a huge test of my faith and drive to help make my life better! The company that I will be working for is a great company and offers all of the standard benefits and even though I don't have to leave my home... on paper it will look like I have professional job experience!!! It feels so wonderful that if nessesary I can provide for my kids!!! Thank You Jesus for opening the doors for my family to be able to do this!!! This has also made me realize that I am very smart! (sorry, my head still fits through the door) I also realized that even though western medicine drives me crazy there is so much I have to offer and feel very led by God to begin the slow uphill hike to a degree and PA or nursing school! There are so many people out there is the same shoes that need some one who gets it and can tell then on their darkest days that there is still hope!!! I am guessing that this will be a very long (10 years of so) process but in 10 years life will be so different then it is today! I will keep you updated on these thoughts and dreams!!! I have decided that I will think in the now and take one day or class at a time and only by the Grace of God get across the finish line!! Tecnology is great because I can do the first couple of years at home on the computer!!! Pray Pray Pray!!!! Well that is all for now!!! Got to go get Kenzie who has decided to roll to the other side of the family room is now stuck!!! Keep Praying for My little Princess!!! I will try to get some new pics up soon!!! !